With their diaphanous often dazzling colors, intricate designs and textures, the humble seaweeds are a treat for the eyes, and one of the great wonders on earth. Benthic marine algae grow where there is adequate light penetration for photosynthesis, a zone that makes up two percent of the ocean’s total area. They are an essential part of the marine community, providing shelter and food for countless millions of marine animals. 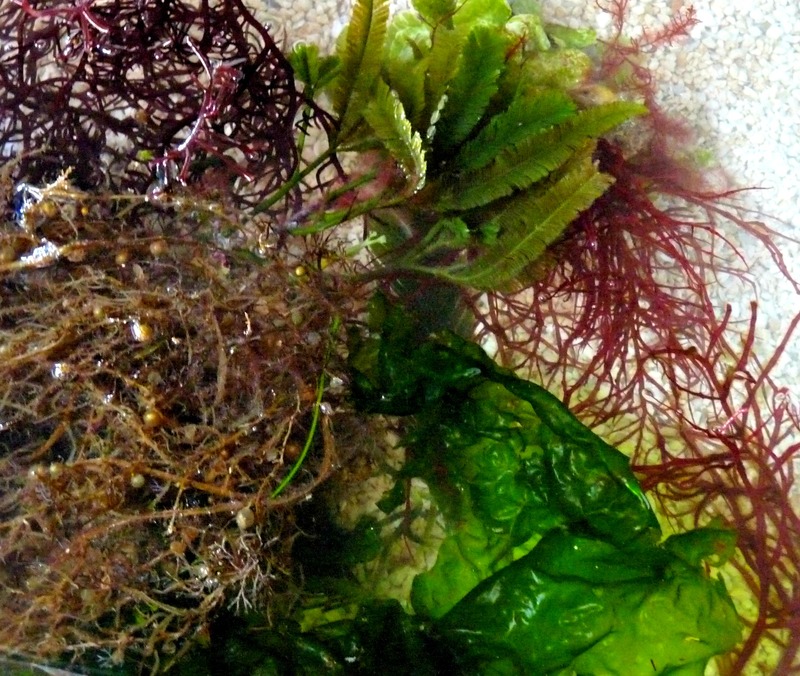 Some species, like Sea Lettuce (Ulva), are good to eat, filled with vitamins and minerals. Under the right light conditions, they grow so explosively they may someday help solve the world’s food shortages. Others such as Laurencia are poisonous, but are being studied as sources of anti-cancer drugs. AS-26 MARINE ALGAE ASSORTMENT: Create your own botanical gardens with our collection of semi-tropical macroscopic benthic marine algae. Phyla represented include Chlorophyta, Rhodophyta, Phaeophyta, and Cyanophyta.